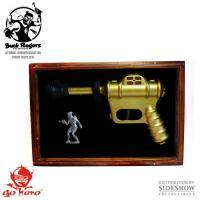 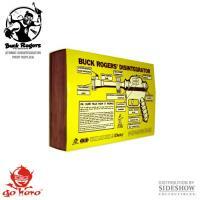 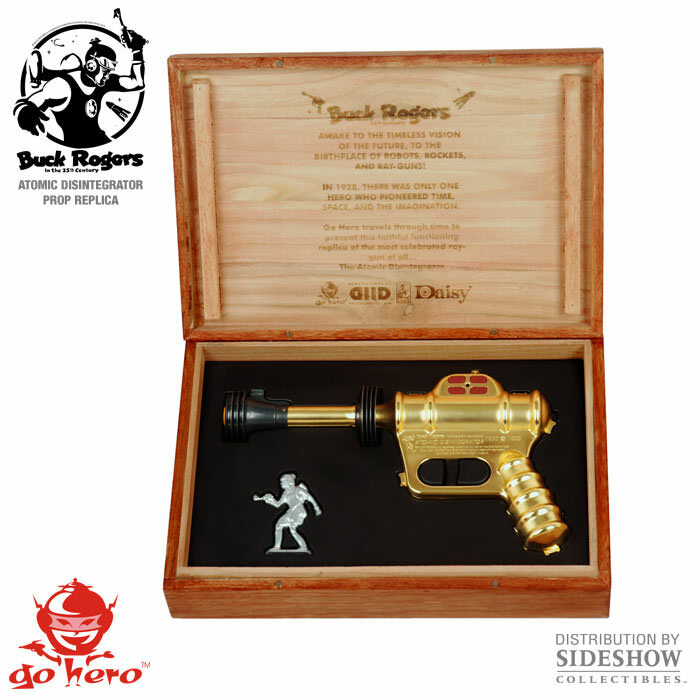 Sideshow Collectibles is proud to present Go Hero's Buck Rogers Atomic Disintegrator replica. 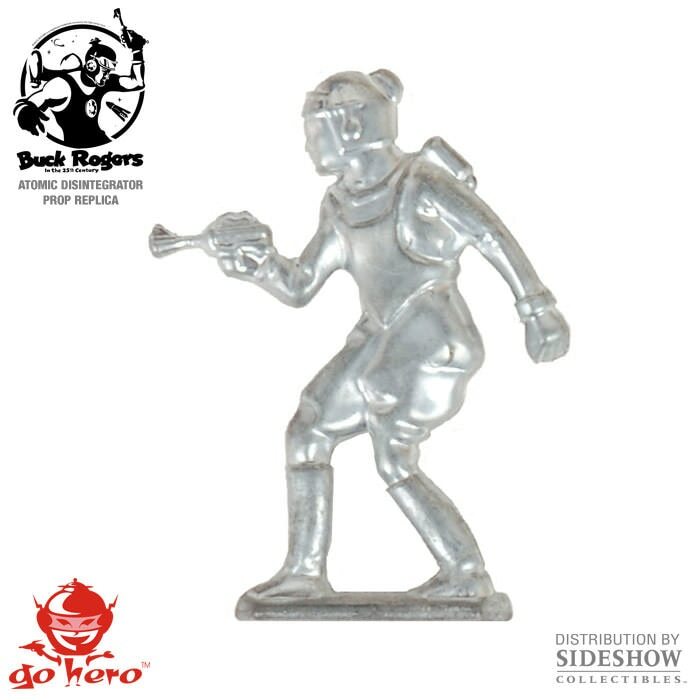 Originally manufactured by Daisy in the 1930s, the Buck Rogers pistols were the most popular toy ray guns for kids and adults for years! 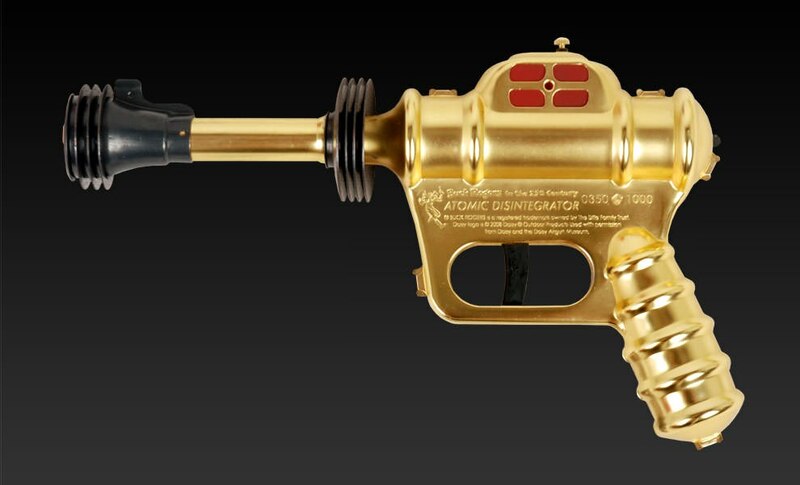 Starting with the Atomic Pistol, and then after WWII, the Disintegrator Pistol, these celebrated ray guns became the gold standard by which all others would be judged. The Go Hero version is a hybrid of these two designs, 10" metal pistol, four fins (sub-atomic condensors), and nearly a piece for piece reproduction of the originals. 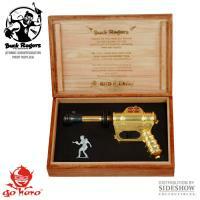 Pull the trigger for a loud pop sound and bright flashing spark to deliver that great original experience! Used as cover art for the 1995 Foo Fighters debut album and inspiration for blasters in several modern day sci-fi films, it is the epitome of iconic design perfection. 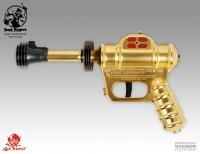 It shoots no projectiles and is completely harmless, unless you happen to be an evil alien! 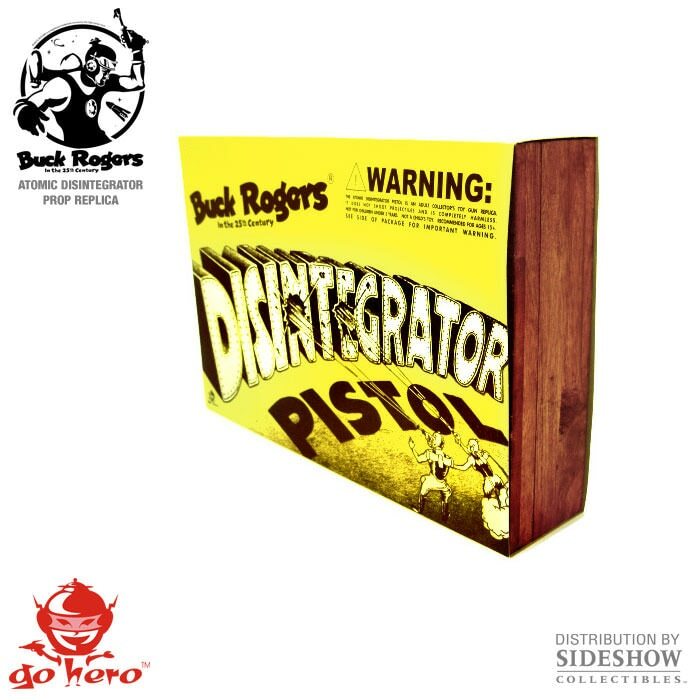 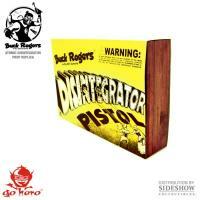 Travel through time to see what the future used to be, as Go Hero presents the Buck Rogers Atomic Disintegrator Pistol! 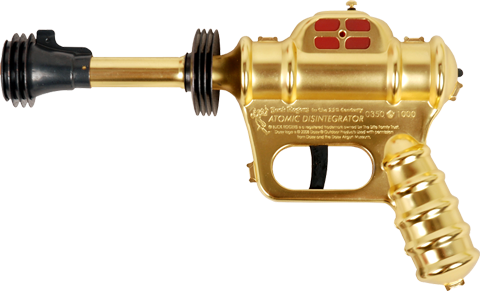 Another excellent piece from the team over at Gohero; beautiful detail from packaging through to the retro deluxe gold Atomic Pistol. 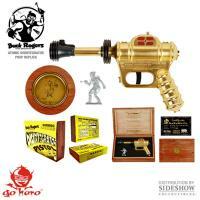 This is one fast way to own a great collectable for now and the future.